Tis The Season To Be Merry...Imagine the look on your friends faces as they see you drinking from a moose mug! 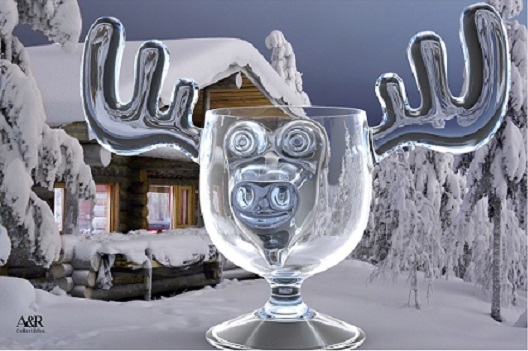 A&R Collectibles is pleased to offer our "Christmas Vacation Moose Mugs." Made of lightweight, crystal clear acrylic, which is far superior to plastic with the added benefits of being a stronger and much safer alternative to glass. These are the ONLY ONE PIECE moose mugs on the market with 8 ounce capacity. All others have glued on antler ears and are much smaller in size and capacity. Many other holiday items available: Nicolette Scorsese signed photos, black dickies, mini moose mugs ornaments, punchbowls & more!